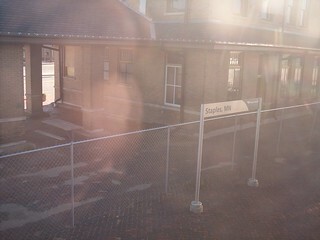 The old depot still stands at Staples. 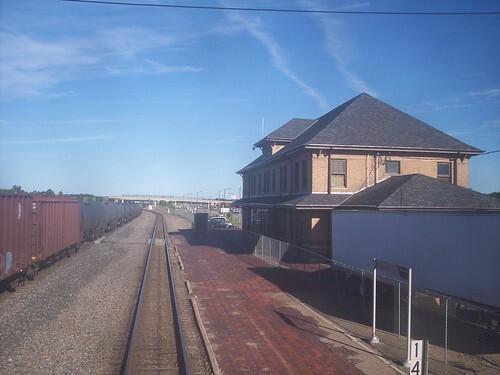 The station also still has a brick platform. 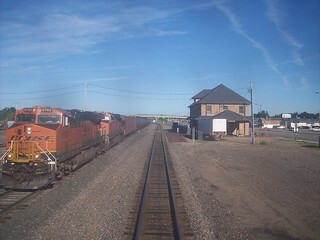 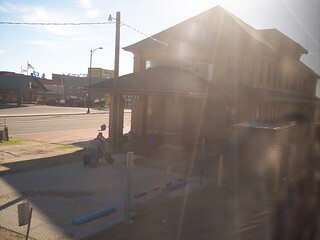 A BNSF freight train sits across from the station.